Wellways Camino trekkers—Kym Murphy, Cheryl McInnes and Tony Whyte—completed their 884 km journey across Spain, to promote ‘one million steps for mental health’, during October’s Mental Health Week. The timing was no coincidence, as the trio planned that 40 days after they began the Camino just near the French Pyrenees, they would arrive at their destination in Santiago. 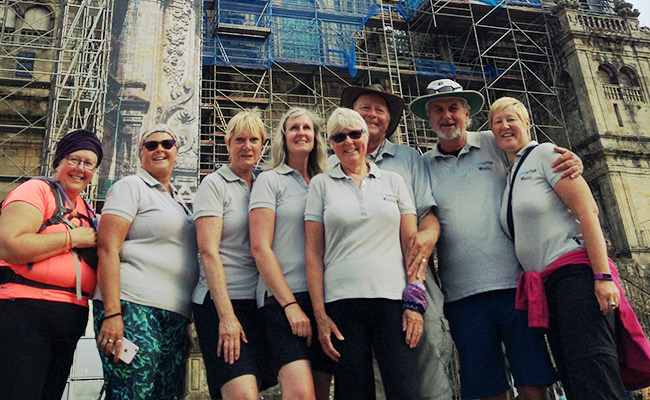 Throughout the Camino journey, Cheryl, Kym and Tony encountered people from around the world curious to learn about mental health and to talk about their own or a family member’s struggle with mental health issues. At the cathedral mass in Santiago, attended by hundreds of pilgrims, the priest acknowledged the group’s cause and the impact of mental illness on the community. This announcement was a surprise to the Wellways group, as was the appearance of their travel sponsor, Umberto di Venosa, managing director of the Dublin-based specialty travel company, Follow the Camino. He arrived in Spain to accompany them on their walk into the city of Santiago, recording the event live, and attending the mass with the group. While many Camino pilgrims conclude their journey at Santiago, Cheryl, Kym and Tony walked the additional 87kms to Finisterre, at the western tip of Spain. At Finisterre, pilgrims traditionally burn an item of clothing, or their boots, to signify letting go of their worn-out belief systems, which could include fear, guilt and separation. “We become open and ready to receive a new wisdom based on inclusivity—quite fitting, given our Wellways cause and the stigma people with a mental illness can experience,” says Cheryl. Wellways thanks and congratulates Cheryl McInnes, Kym Murphy and Tony Whyte for their enormous commitment to ‘one million steps for mental health’ and their determination to raise awareness of the impacts of mental illness on individuals and families. 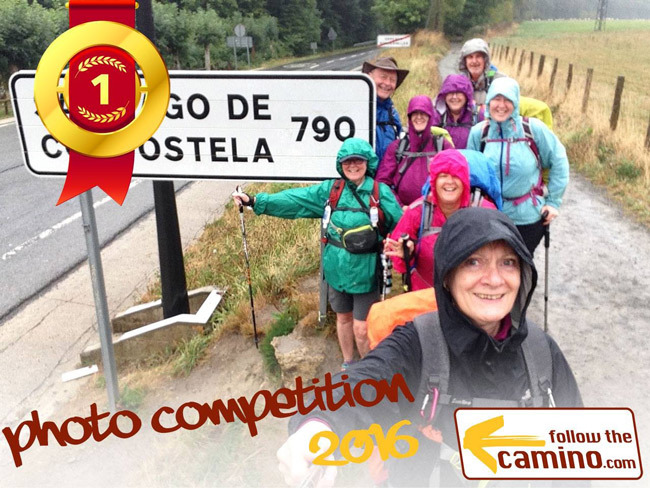 This photo was awarded first prize to Wellways in Follow the Camino’s selfie photography competition.